Once again, things aren’t looking too good for Nordstrom (NYSE: JWN). The department store is set to close two locations around April of this year. This comes after they shut down one of their full-line stores at the start of 2019. With the continuous rise of online shopping and the push for supporting more local stores, larger malls have had less traffic walking through the corridors over the years. Department stores continue to close up shop and shift more towards online retail. Moreover, as recent news suggests, Nordstrom is no exception. Although they still plan to open up two full-line stores later in the years in Manhattan and Fairfield County, Connecticut, the will be three store locations shutting down say something different. These also aren’t the first stores to close down as Nordstrom has shut down roughly two locations per year in the past while. All of this isn’t to say that Nordstrom is underperforming. In fact, the company has seen its stores produce a positive cash flow. It’s the underperforming malls that the locations are in that have raised an issue for the company. What does this mean for the stock? There’s mixed emotion over whether or not Nordstrom’s stock is a good investment or not. For starters, the stock opened at $46.65 before closing at $46.06 on January 28. On January 27, the stock closed at $47.09. That is a -2.17% difference in one day. Others predict that the stock will continue to perform at a high level as it continually has over the years. Some analysts predict that the stock could climb 27.91 % over the next 12 months. From watching the history of the stock, analysts are confident that the stock is still worthwhile. Other news this year shook Nordstrom with the announcement of co-president Blake Nordstrom passing away. Back in December, Blake released word that he was battling lymphoma. On January 2, he passed away at the age of 58. Another factor that’s contributed to the uncertainty of the stock is as it reported, along with most high-end department store chains, disappointing holiday sales. So, should we be concerned of the Nordstrom stock with the recent passing of a top executive, along with the closing of two more stores later this year? Well, if West Coast Financial LLC’s decision to decrease their stake in Nordstrom is any signal, then maybe we should be. West Coast Financial lowered their stake by 6.5% in the fourth quarter. However, it’s not just West Coat Financial that’s making some changes. Many companies are starting to invest in Nordstrom. 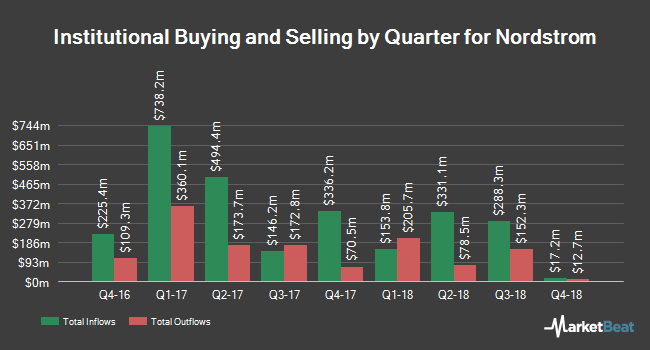 Hodges Capital Management Inc. actually acquired shares in Nordstrom in the third quarter, as well as Korea Investment CORP, Ibex Investors LLC, Confluence Investment Management LLC, and Zions Bancorporation. When Nordstrom released their last quarterly earnings in November, the numbers were a bit higher than what was predicted. Analysts estimated their earnings per share would hover around $0.64. The released number is $0.67. Nordstrom reported having a revenue of $3.75 billion, which was more than the estimated $3.68 billion. Fast-forward to right now, Jaffray Companies rated JWN at neutral on January 16. Credit Suisse Group gave them a positive rating, while Zacks Investment Research rated the stock to a buy. From what it seems like, Nordstrom has its ups and downs but always seems to bounce back strong. 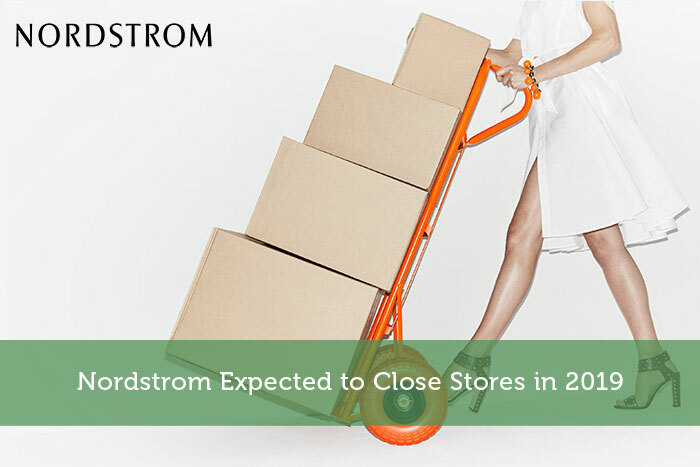 Even though there are a few hesitant companies regarding investing in Nordstrom, many are taking the plunge and putting their faith in the fashion retailer. So, does the closing of two more stores mean doom for Nordstrom? Not necessarily. If the malls they’re in are underperforming yet the company still shows a profit year after year, the company is likely still holding strong.